This consultation was open to all parishioners (events targeting local landowners and businesses had already been completed). Posters were put up around the village inviting people to attend. The event was also publicised on the NDP Facebook page and flyers were distributed at the Lake completion opening ceremony. Approximately 70 people turned up for the event, although not all signed in (66). Of those 66, 29 were male and 37 were female. 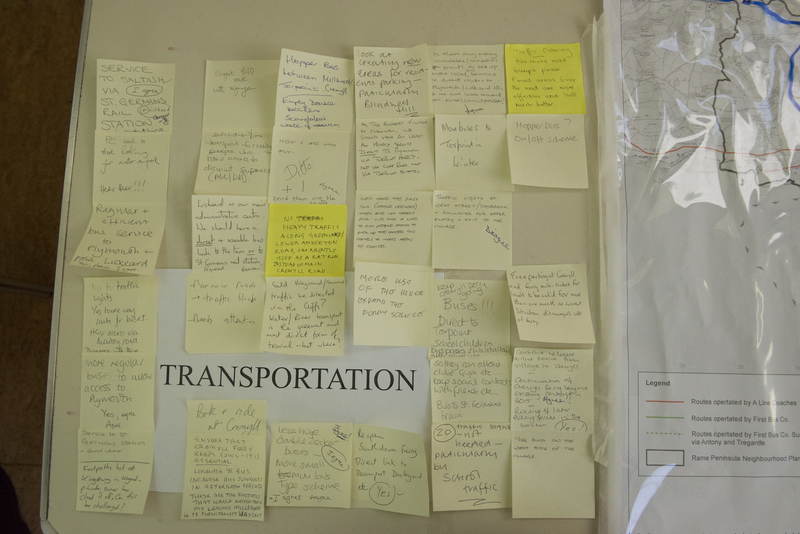 Maps were covered in cellophane and attendees were asked to make comments on post it notes and use marker pens to identify locations, these maps have been photographed as records. Some can be viewed further down this page. The event was held as a “drop-in” session. 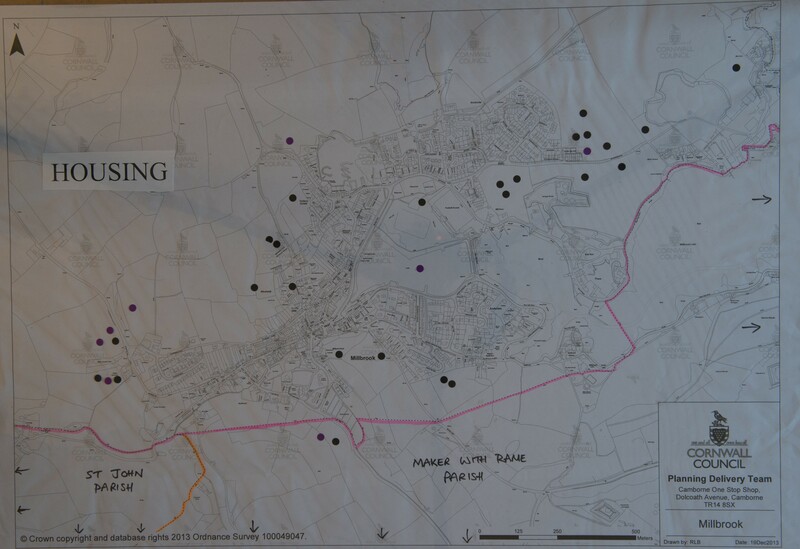 Councillors were on hand to hold discussions with attendees whilst encouraging them to mark up ideas on the maps. We had some feedback from parishioners who were unable to attend and who asked if they could fill in questionnaires, both electronically and on paper. It was felt that Millbrook was in danger of losing its village “feel” should there be any more building. There is a need for one/ two bedroom properties specifically suitable for elderly/ young people thus enabling larger houses to be freed up for families. It was felt that the infrastructure of the village and the peninsula as a whole is unable to support more development. There are already terrible problems with traffic throughout the peninsula. The doctors’ surgery and schools are very full. Too much development has caused more flooding in the area. Any further development should be in keeping with the style of the village. Also should provide off road parking as there is a major parking problem in the village. Overwhelming need for better rail links at St Germans/ Liskeard and regular public transport links from Millbrook to get to St Germans/ Liskeard stations. 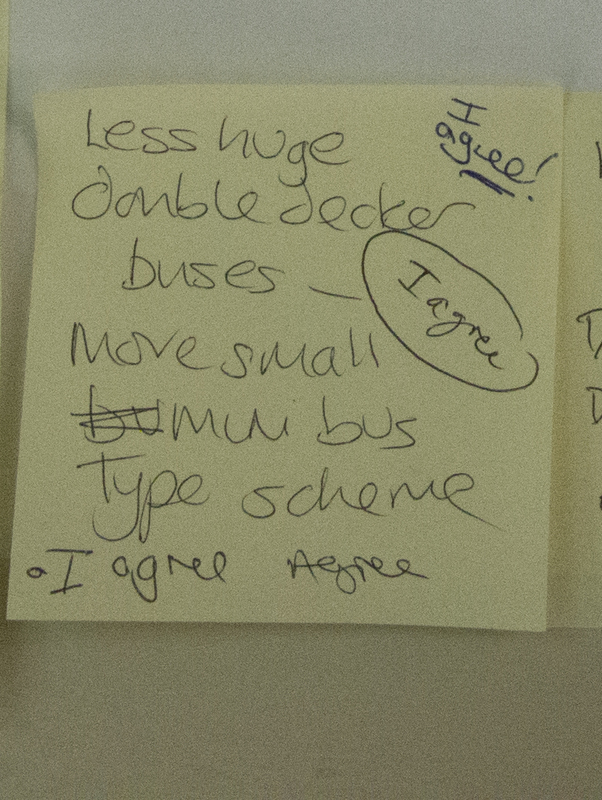 There is a general need for better/ more direct bus links to Plymouth and Torpoint. There is wide agreement for a one way system for HGV/ heavy traffic round Military Road provided that the road is capable of supporting more heavy traffic. Large vehicles should have size restrictions to fit the road infrastructure. Roads in Millbrook/ on the peninsula are overcrowded and unsuitable for any increase in traffic. Ferry/ water links could be expanded over to Plymouth. There is wide support for the Cremyll ferry and recognition of how vital it is. A later winter service would be better. Ensure that public rights of way are not seized by private landowners. 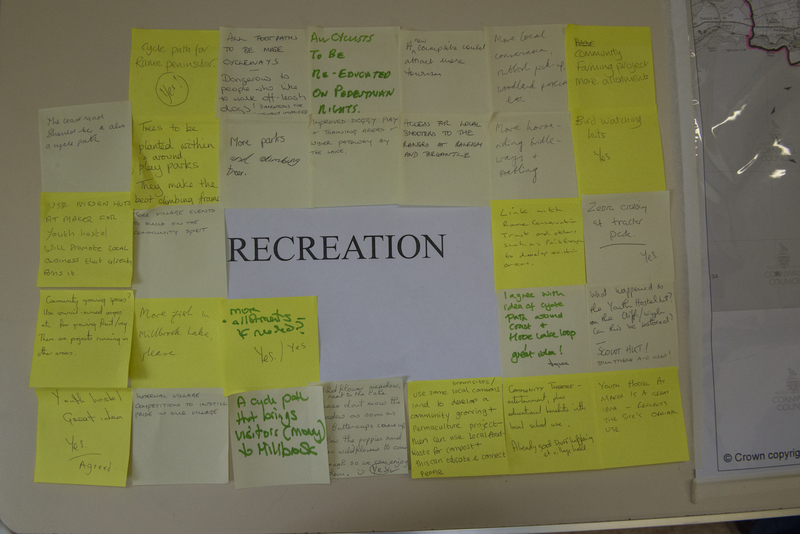 There were suggestions for a youth hostel and more camping facilities at Maker Heights. 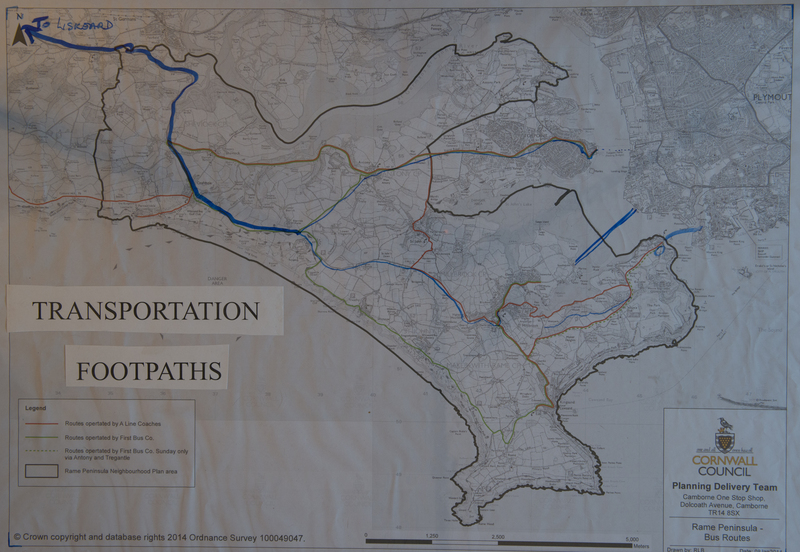 More cycle paths around the Rame peninsula to encourage tourism and local recreation. There is a need for community growing spaces/ allotments to encourage self suffiency and healthy eating. Could there be communal composting/ recycling? A village in bloom competition would be welcomed. Also bird watching huts around the lake. Opinion was divided about wind turbines and solar farms. It was felt that every new build should have solar panels. The most popular option for renewable energy was tidal/ water energy. 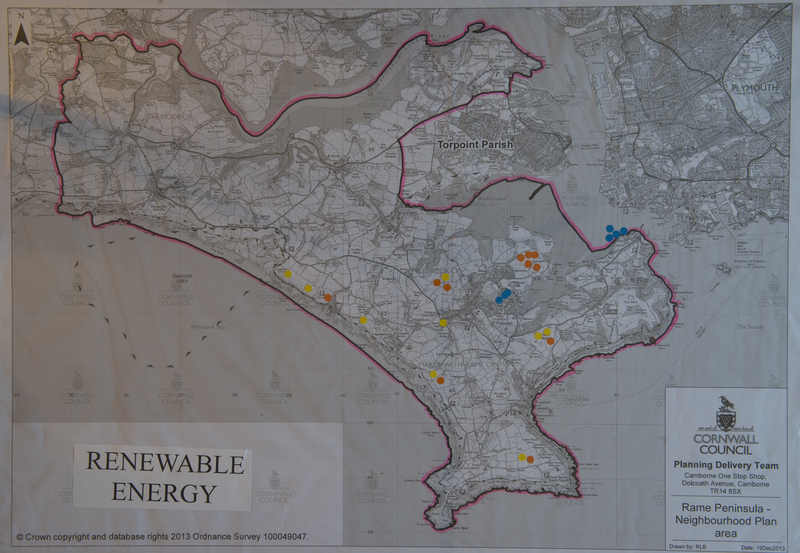 Sites identified for renewable energy were Southdown, Maker, Mendennick and along the cliffs. There should be more free short term parking/ cheap rents for empty shops. There is a need for smaller industrial/ workshop/ live and work space units. Areas suitable for commercial development were identified as Southdown, the Old Mill and Hounster Hill. There was generally felt to be no need for a large supermarket on the Peninsula, although a couple thought that one on at Trerulefoot would be acceptable. More provision and facilities should be available for OAPs in the village. If possible, make more of the tourism sector to bring visitors (i.e. money to the village). Re building on Greenfield: How do we make our local electorate aware of the seriousness of this? Plant swathes of trees on the high ground above the village. Tree roots take water down into their roots and hopefully not run off and cause flooding in the village below where so much of the land has been waterproofed as housing and infrastructure needs arise. Better publicity and information needed on a regular basis-cluster wide magazine and Facebook? Door to door once a year? Can 14th Century Insworke chapel get restored? I agree, is it listed? I thought this was supposed to be an Area of Outstanding Natural Beauty? 14% of the UK’s electricity was generated by wind one night last week. I wonder how many people who used that power would have a turbine near them. Power isn’t a given, we will run out of fossil fuels. Say no to NIMBYs or turn their power off. No objection to solar park. Solar farm off Military Road, the very poor fields (good access from WWII ) not visible from anywhere. Solar farm in quarry or wind farm? Solar farm, I am no NIMBY! Think planet devastation becoming more obvious and a priority. Can solar panels be green in colour? Solar farms do not generate enough money year round. All they really achieve is an income for the landowner, blight the landscape. Yes there is an objection to a solar park! If St John parish wants a solar farm, put it in St John village – don’t suppose they would want one then!! Wind turbines can be elegant. Remember many people opposed railways in the 19th Century. Fear of the new? Wind turbines would be ideal – Agreed! No wind turbines, please. I am not convinced by their viability particularly on small scale. They look awful. Wind turbines would be ideal – For whom? Certainly not us! Would be good to use tidal barrages for generation. Around Cremyll/ Empacombe area. How about a water driven turbine on the dam?